In This Issue Are 5 Killer Custom Feature Including a Shovel From Ryan McQuiston, The Winner Of the XS650 ChopOff, A Bitchin Flatty and more. As always it's loaded with 3 killer tech articles. 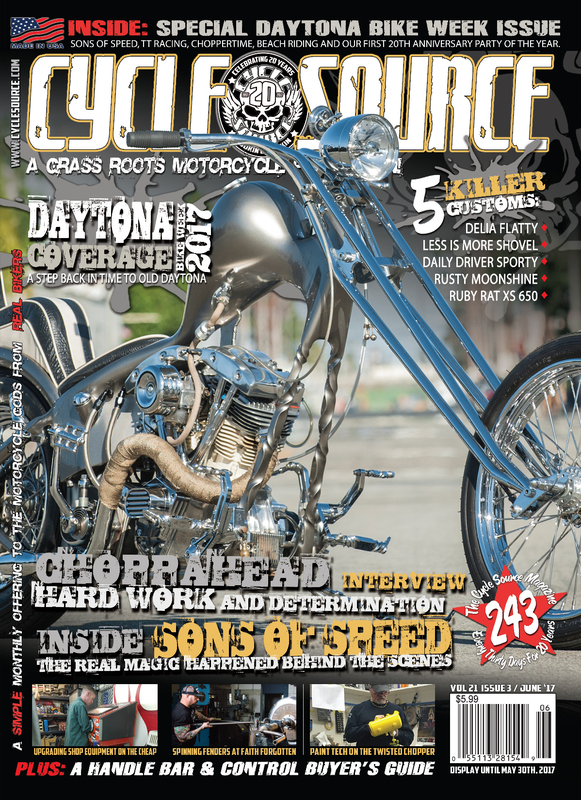 We also recap Daytona Bike Week 2017 and Get The Inside Scoop On Sons Of Speed and so much more!